5 Steps to Learn Xing Yi in less than 1 year. 5 Steps to Learn Xing Yi in Less Than 1 Year & Be Able to Fight With It. Xing Yi is the art of courage. Xing Yi Quan is a powerful and effective art that can be learned fairly quickly if approached using these 5 steps. In Kung Fu Skill comes from hard work over time. Skill = Work x Time. …and you can increase the quality of your work by focusing on the most efficient and effective training methods. For most people more time is hard to come by. Fortunately, there is the 80/20 rule. This general rule of thumb states that 80% of the benefit comes from 20% of the effort. In martial arts this ratio is often closer to 90/10 or greater. The hard part is figuring out which 5 – 20% is going to give you all the skill you’re looking for. Sigung Clear has been working on this for the last 35 years and he’s still studying and researching. Continuing to look for more efficient and effective ways to train. The first step is to define the purpose of the art. Be detailed and specific. Martial Arts are different because they’re designed for different purposes. Knowing what your art is trying to do is essential. Xing Yi’s purpose is to make someone a strong and powerful fighter quickly. In Xing Yi strategy is to attack as soon as a threat presents itself. It’s goal is to dominate the opponent’s center and overwhelm them. You do this by fortifying your own center and running over the opponent with a barrage of blasting strikes. Once you understand what your art is trying to do then it becomes much much easier to keep your training focused on achieving that goal. The next step in learning efficiently is to identify the signature techniques / movements of the art and learn their function. When identifying the signature techniques of the art look for movements that are common to all lineages and variations of the art. In Xing Yi this is the 5 Elemental Fists. Now that you’ve identified the signature movements. Many people have spent years learning the forms of the 5 elements and combined forms and animal forms, etc… and they’re still no closer to being an effective Xing Yi Fighter. Form was designed to achieve a function. If you understand what a movement is supposed to do and how that helps the art achieve it’s overall purpose and strategy (covered in step 1) then refining and correcting your form will be easy. …and you’ll be able to use what you are learning right away. The function of the 5 elemental fists. There are 3 basic things to know about the 5 fists. 1. Basic self defense application of each. These are simple fighting methods that embody what each fist is about. 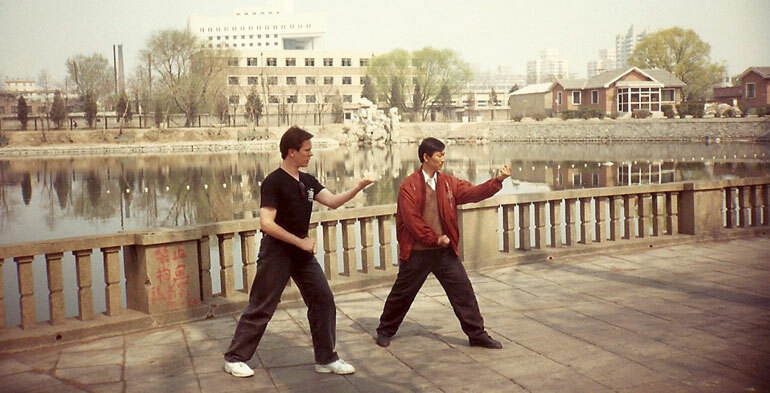 These are taught in the introduction and prologue of the Xing Yi Intensive. 2. The physical action of each fist. Keep this as simple as it sounds. It’s very easy to get sidetracked with very ornate versions of a move. Pi Chuan is a downward falling or choping movement. Beng Chuan is a forward driving movement. Pao Chuan is an expanding upward and outward movement with a bit of rotation. Heng Chuan is a crossing & closing movement. By sticking to the simplest crudest version of a movement you will be able to fight with it very quickly, It will be very easy to understand what that move is about and how it helps you achieve your overall strategy. …and as you gain skill it will be easy to add more complex variations of the movement to your skill-set. 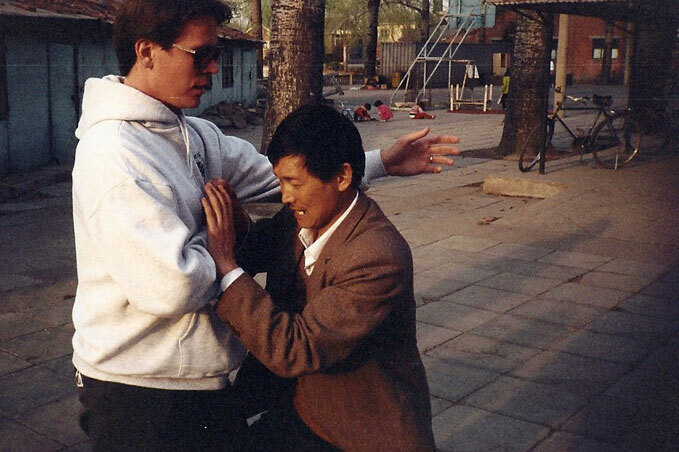 These physical actions and how to use them are taught in Chapter 1 of the Xing Yi Intensive. 3. The Internal Action of Each Elemental Fist. Because Xing Yi is an internal art, what’s happening inside your body is just as important as the physical movement. Each of the 5 fists embodies a specific internal expression. Pi Chuan is a heavy weighted drop. Your whole body should take on this heavy quality so that anywhere the opponent makes contact they should feel like they’ve been hit with a heavy sold sledge hammer. Tsuan Chuan is drilling. This is a spiraling twisting action that connects the entire body from head to toe. Beng Chuan is an expanding & contracting at the same time. It creates a crushing feeling through the whole body. Like pulling a very strong bow. Pao Chaun is an internal condensing and release that expands and explodes outwards. How to build and use these internal actions is taught in Chapter 2 of the Xing Yi Intensive. Once you understand the function of the 5 elements and can use them then you’re ready for step 3. Step 3 is to determine the most important characteristics / principles of your art. Xing Yi is described as a cannonball skipping across the battlefield taking out anything in it’s path. It’s said to fortify the center. Xing Yi also dominates the opponent’s center and runs over and through them. That’s 3 main things we need to do. Run over the Opponent while dominating their center. Let’s break down what skills make that happen. Structure, Heavy & Bone Shields are the 3 beginning ways to make this happen. 1. Structure – you need to build impeccable internal alignment from head to toe and be able to fight with it. If someone makes contact with you it should feel like they ran into a telephone pole. Be careful, if you train structure with too much stationary standing or solo work it will fall apart as soon as you need to use it. Chapter 3 in the Xing Yi Intensive teaches you the drills and exercises you need to move and strike with impeccable structure. 2. Heavy / dropping root with every hit. You’re already familiar with this as the primary internal action of Pi Chuan. At this stage it’s important to build this quality so you can move quickly and explosively with it so that no matter what you’re doing or how you make contact with the opponent they feel you’re whole body weight behind every action. How to maintain full body-weight while moving rapidly is covered in Chapter 4 of the Xing Yi Intensive. 3. Bone Shields – The opponent should always be getting hit by or be running into the hard parts of your body. The movements of the 5 fists are all designed to facilitate this. In Chapter 7 you’ll learn how to make sure this happens automatically. These are the 3 beginning ways to become the steel ball. Many of the other internal skills of Xing Yi will enhance this quality as well but we’ll address that later. The first step is learning to find the opponents spine. Every time you hit the opponent the impact should cut right through their body and affect the spine. The drills that build this skill are taught in Chapter 3 of the Xing Yi Intensive. Next is learning to use your fortified center to find and cut through the opponents center. You’ll need to build the sensitivity to find the opponent’s center and learn how the action and shape of the 5 fists helps you get to the opponents center and dominate it. Xing Yi does not meet force with force. Even though you are driving right through the opponent’s center you are using subtle positioning skills to catch them at angles and directions that are bad for them. The drills in Chapter 5 teach you to do all this. …and run over the opponent. Most fighters close on the opponent until they get to the range they are comfortable in and then work from there. Xing Yi is a closing art. It’s goal is to run through the opponent and come out the other side. To do this you need to be able to get right next to the opponent without leaving yourself open & you must be able to strike with full power even though there is no space between you and them. The skills we discussed earlier in Becoming the Steel Ball and Dominating the Center are the foundation. Chapter 6 expands on those and teaches you how to keep yourself protected as you run over the opponent and how to maintain full power in every movement you make. You will already be developing power and explosiveness from the principles we’ve covered so far. 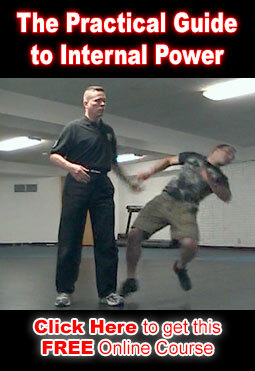 Once those have been developed use the following principles to add more suddenness and power to your movement. Every time you bend, rock or shift your body should feel like a piece of flexible Bamboo that will spring back into place. Movement that would have broken your structure will instead stretch it loading more power into your frame to be released. Chapter 15 teaches you how to use this expression of the art. This principle uses the body like a spring. The secret to using this principle is that the retracting loading action of the spring has just as much martial application as the releasing expanding movements. In order to be effective you’ll need to understand both aspects of this principle. This is taught in depth in Chapter 16. This was introduced as the primary internal action of Pao Chuan. You want to build this until you can use it all the time in all your movement. The compression aspect adds power and increases the steel ball quality. The exploding aspect adds suddenness to your movement and increases power as well. Compression & how to combine it with these other power sources is covered in Chapter 16. Recap Steps 1 – 3. 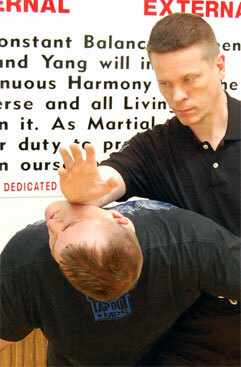 At this point you’ve learned the fighting strategy, the signature fighting methods and the core principles of Xing Yi. Your movement at this stage will be unrefined but you should be able to use the art effectively. Now it’s time to broaden your understanding of the 5 Fists. The key here is that you DO NOT learn new movements. Instead learn new ways to use the movements you are already familiar with. Step 5 Unusual Situations & Opponents. Now it’s time to look at any situations or opponents that might give you trouble based on your current understanding of the art. Find the holes in your understanding and learn how the art fills them in. That’s everything you need to become an effective Xing Yi practitioner. With an art like Xing Yi this process should take about 1 year. You can certainly spend several more years honing these skills. However, as long as you practice diligently, 1 year is all you need to be effective with the skills outlined above. The Clear’s Xing Yi Intensive covers everything above in 8 months. It includes a whole bunch of training drills and games that will help you and a partner develop these skills at home. The next stage of training is to look at intermediate and advanced practitioners of the art and begin breaking down what training and skills will take you from proficient to master. In Clear’s Xing Yi, once a student finished the Xing Yi Intensive, there are 8 training modules that help them take their art to an advanced level.